Whenever you exchange an Email, make sure the information shared is Safe and Secured. Every time you send an email, they are more vulnerable to theft by employees as they are easy to copy and forward, cos emails are portable nature than paper documents. Every email exchanged is prone to disclosure of information, where the content is at risk of being read by other entities than the intended recipients. 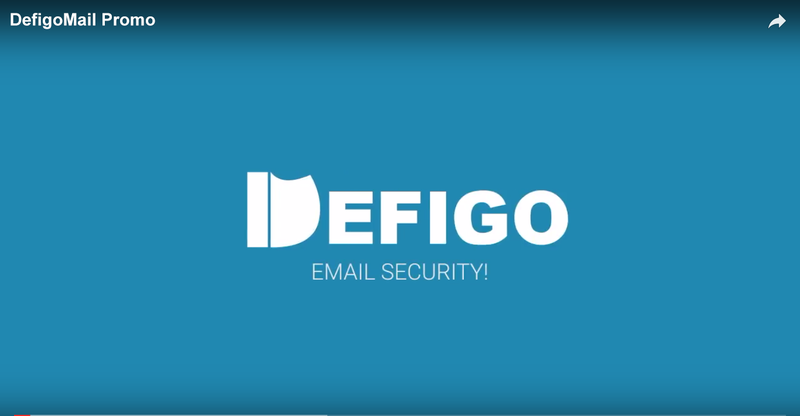 Using DefigoMail keeps your information safe and under your control. Feeling safe already, here is how we help you. Scroll down and Get Secured! For every email you exchange without proper security features, you face two major threats to information transacted. The first threat being, without proper encryption and authentication your email can be read by anyone and everyone other than the actual recipient. The other is Email-borne data breaches, data leaks and business disruptions by forwarding, copying and printing of business sensitive email content. With DefigoMail you don’t have to worry about any of it. All your emails are now protected with military grade 256 bit level encryption. Which means except you and intended recipient no one can intercept your emails. All your emails now can be protected against Copy/ Print and Forward allowing you to prevent data leaks. Data sensitive emails are now time bound with burn after read which helps you delete an email based on the time limit you set. With DefigoMail your emails are more secure than ever and our security features empower you to manage emails sent from your inbox to recipients inbox. User can set to delete a mail in recipient’s in-box after one read. User can restrict recipient from forwarding mail/attachments. User can restrict recipient from printing/downloading mails & attachments. 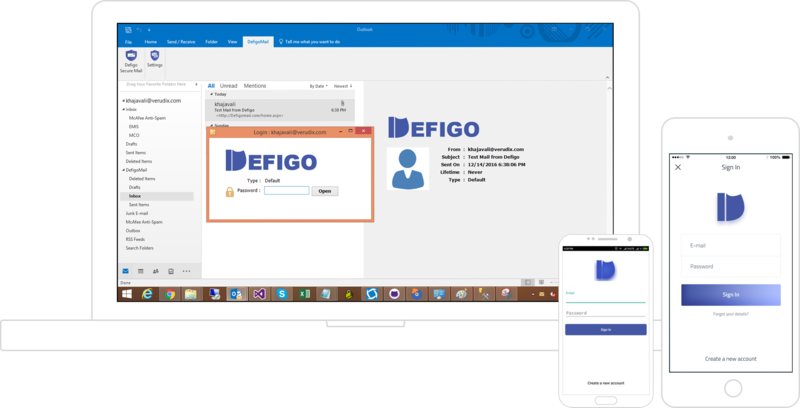 Mails stay encrypted & password protected at all times inside Outlook Inbox (can be opened with your Defigo password only). Use our App for free! Lifetime.